Fish-fragrant eggplant is arguably one of the most popular vegetable dishes on many Chinese restaurant menus. Unfortunately, it is frequently violated by excess sugar, soy sauce and corn starch. This recipe, adapted from the Beijing cooking school Black Sesame Kitchen, is beautifully balanced. The black vinegar adds a touch of acidity that lifts the whole dish. Try infusing the oil with a few Szechuan peppercorns prior to cooking, their tongue tingling properties are sure to add a bit of mystery and fun to your dinner. Cut the eggplants into 1 inch diagonal pieces (turn the eggplant slightly after each diagonal slice so you end up with diamond shaped pieces). Toss the eggplants with the rice flour, lightly coating each piece. Return two tablespoons of oil to the pan. Add broad bean paste, cook for 30 seconds. Add minced ginger, garlic and leek. Cook for another 30 seconds. Add water, sugar, soy sauce and salt. Stir. 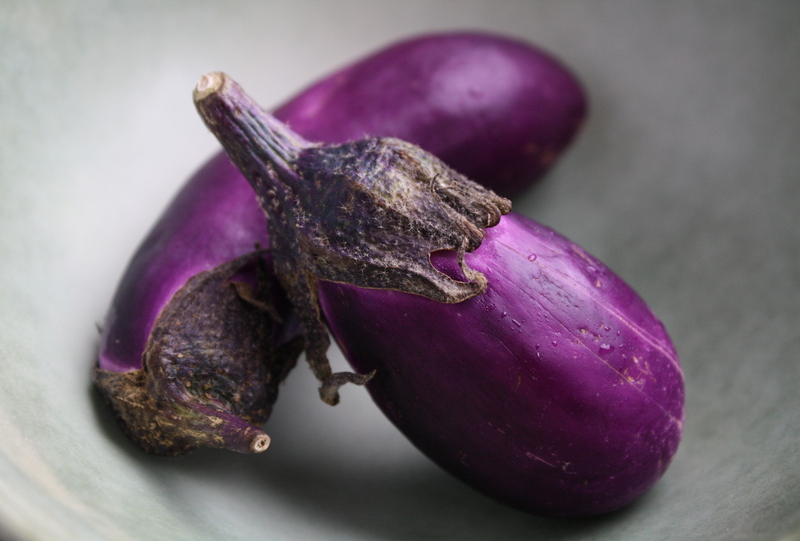 Return cooked eggplants to the pan, toss gently in the sauce for a few minutes. Stir in the cornstarch mixture to thicken. Add black vinegar. *If you want to add Szechuan peppercorns and/or dried chili peppers roast them in the oil before adding the broad bean paste. Just remember to remove them once they turn brown and before adding any other ingredients. *When cooking with a wok you want to have all your prep completed and on hand before you begin the cooking process so that you can work quickly and efficiently. Actual cooking time should be minimal. That’s wonderful to hear. I hope you do. And yes, everything is better with a little dried chili. 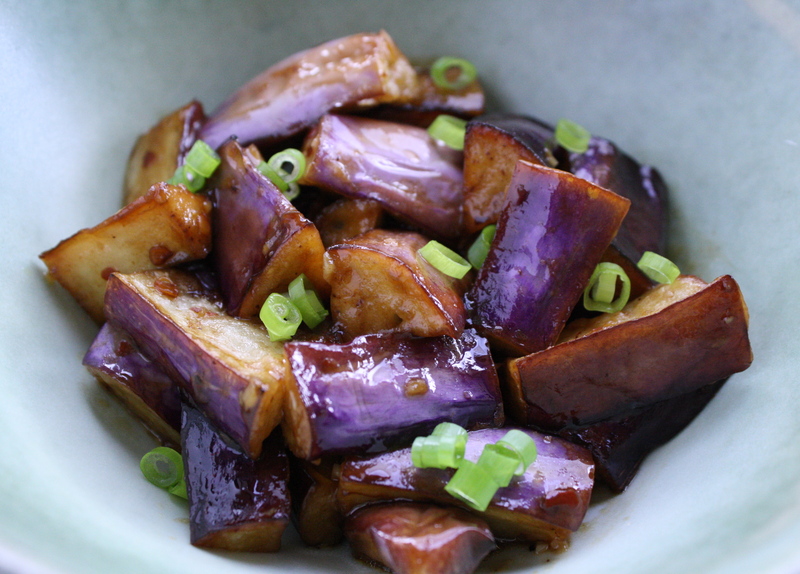 Just made this last night with my garden grown Japanese eggplants.. turned out great! I know this is an oily dish, but I was wondering if one could sweat the eggplants first? Home grown Japanese eggplants.. luck you! I’m sure they’re amazing.